Jennifer Backes is Williams-Keepers LLC’s Director of Marketing and Communications. She has more than 12 years of professional experience in strategic marketing, public relations, event planning and consulting. She joined the firm in October 2017. Jennifer’s duties include fostering the growth of WK through social media management, strategic marketing and community outreach. She is responsible for website content management as well as media planning and community relations. Jennifer earned a bachelor’s degree in marketing from the University of Missouri-Columbia. 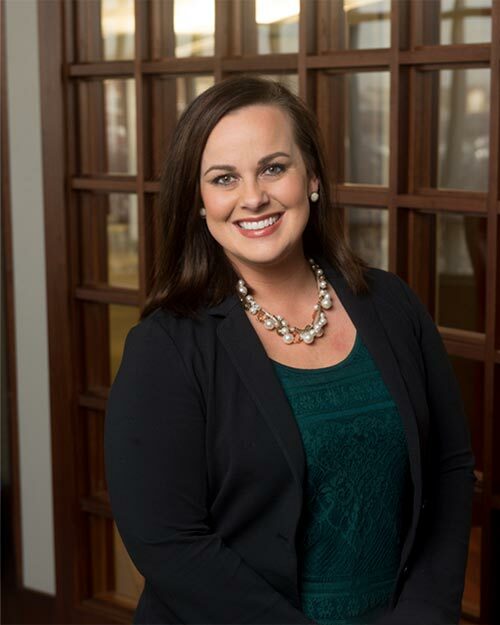 Jennifer is a member of the Association of Accounting Marketing, Jefferson City Young Professionals as well as the Jefferson City and Columbia Chamber of Commerce. She has served as a member of the governing body for the United Way of Central Missouri as well as the Campaign Leadership Team. She has also served on the planning committee for Boys and Girls Club’s Men of the Club.